The best components and algorithms can bring peace of mind. Level devices are small components that are critical for keeping systems running smoothly. Across industries, operators need precise data and reliable equipment. With the right level device in place, they can focus on more complex system requirements. Richard Lemire is electrical technical coordinator at the Laronde division of Agnico Eagle Mines Limited, one of Canada’s largest mining companies. Lemire gets called in when things are not working. He is the problem-solver when instrumentation is not delivering the results that the mill needs. The mill operators were frustrated with the performance of Agnico Eagle’s standard level transmitters in several process tanks with circulation conditions. Lemire consulted an instrumentation provider who recommended that their technology and algorithms would likely work with default settings, even with these difficult conditions. In this particular application, the transmitter became Agnico Eagle’s standard ultrasonic transmitter to use across the mill. The instrumentation provider’s noncontacting level algorithms are able to deal with the harsh and changing conditions—and the mill has extended its use of level technology to radar applications, also with good success. What this company—and many more worldwide—found was that it is the intelligence built into the devices that makes the difference. Noncontacting radar and ultrasonic technology’s advanced echo processing enables reliable and accurate level measurement, dealing with obstructions and changing environments. Guided wave radar can be installed in a matter of minutes. One type of radar transmitter measures levels in a U.S.-based company’s process and storage vessels for cement kiln dust (CKD), an unavoidable byproduct of cement production that is used for many different commercial applications. The transmitter’s high-frequency antenna does not have any issues with the extremely dusty environment inside either vessel. In addition, the device’s narrow beam allows technicians to install them almost anywhere on top of the vessel. Image 2. This level transmitter measures accurately, even through foam conditions at SABMiller. Precise level measurements are crucial here, since technicians need to ensure that the CKD is shipped out as efficiently as possible. If a vessel contains insufficient CKD, trucks scheduled to pick up materials may make wasted trips to the cement plant. From reducing the waste stream of materials heading to landfills to ensuring environmental regulations are being closely followed, process instrumentation helps manage dust in the cement plant and makes reuse and repurposing of the material possible. Today’s brewing industry is characterized by a constantly growing range of varieties and bottle shapes, as well as increasing cost pressure. 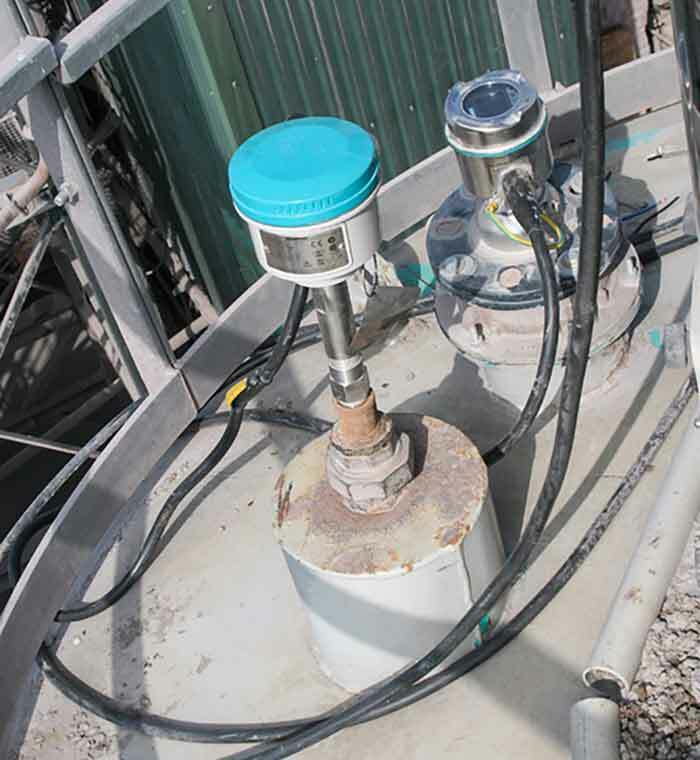 This led to a growing need for hygienic, reliable and low-cost systems capable of measuring the precise content of pressurized tanks prior to filling, as well as fermenting and storage tanks. 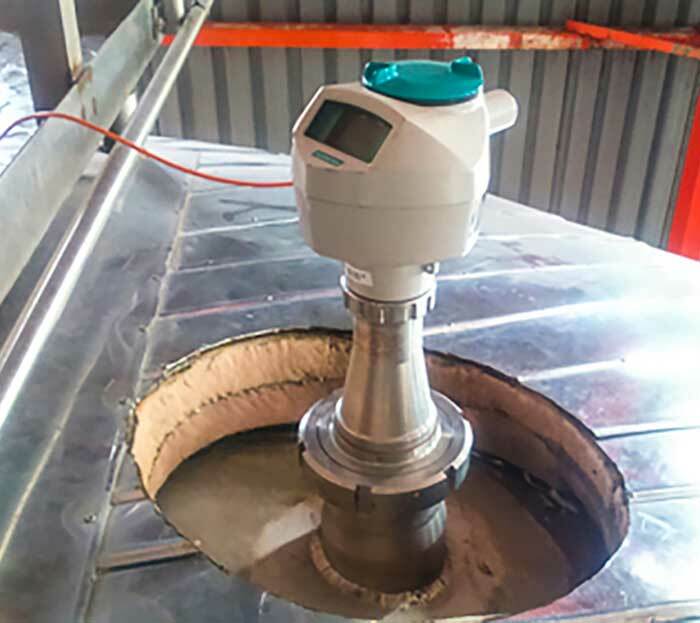 To meet this need, multinational brewing and beverage company SABMiller chose a radar level transmitter with hygienic antenna. SABMiller installed the transmitters on vessels that are continually filled and emptied throughout brewing operations. Image 3. 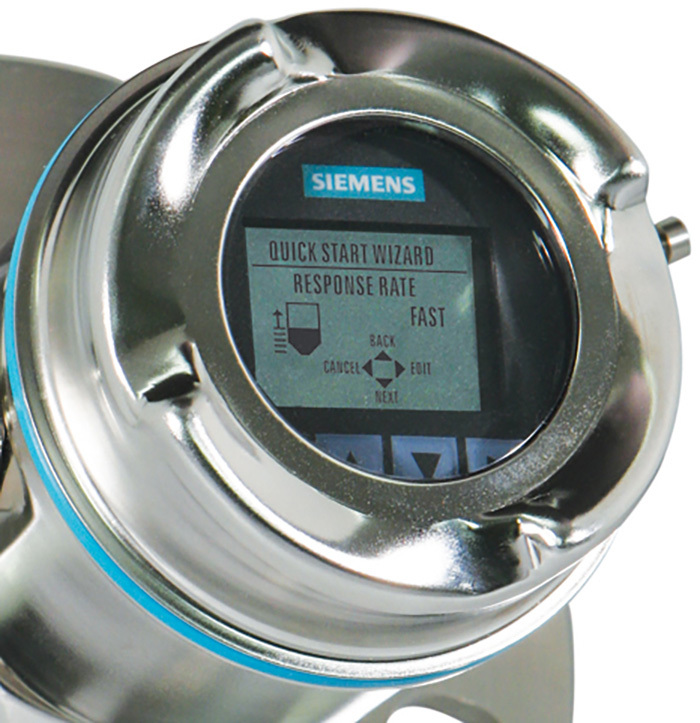 User friendly interfaces help get operators up and running in minutes. The transmitters needed to keep a stable reading despite the foam that is generated during this process. Thanks to level algorithms, the transmitters provided an accurate measurement of the tank fill levels, even in the presence of foam. The transmitters were not only easy to install, since they fit on top of the tanks to existing process connections, but they require little to no maintenance because there is no drift in zero point due to production/cleaning cycles. They also minimize losses of time or product by synchronizing the tank emptying with the bottle feed to the filling machine. In a peaceful Canadian city, a wastewater pumping station had difficulties with its existing level controller. Pumps were turning on and off randomly—and not at the desired set points. This type of malfunctioning can result in potential flooding of the well or can cause damage to the equipment. Image 4. Instrumentation products with intelligence provide reliable echo profiles even in challenging environments. The products are able to distinguish between true echoes and false ones from obstructions or conditions. Add in the fact that most of the city’s wet wells are located near houses, businesses and industry, and wastewater flooding could be a real problem. No one wants a city’s wastewater in their basement. After investigating and considering all of these factors, operators installed an ultrasonic level and pump controller. They easily connected it to a transducer, which was mounted in the wet well. Programming only took a few minutes, since the operator simply connected the controller to his laptop with a USB cable. He used the device’s web browser software to configure the unit—no special programs needed. Immediately after installation, operators noticed that the signal strength and signal-to-noise ratio improved dramatically. 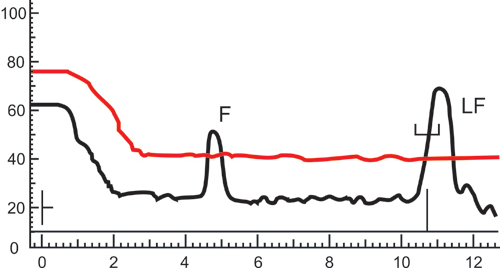 Under the same electrical noise conditions as before, the ultrasonic level and pump controller reported accurate level measurements and reliably controlled the pumps. These results have continued creating a number of benefits to this pumping station, such as lower maintenance, cost savings and increased safety. Graham McGregor is product manager–level technologies at Siemens. For more information, visit siemens.com.